With A Level results and clearing just around the corner, a car-sharing site for students has been launched. 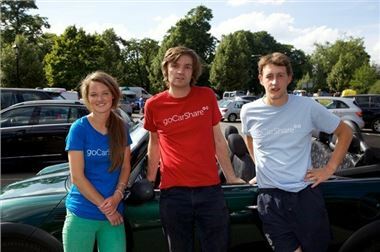 The site, gocarshare.com, aims to match-up empty seats in cars with people looking for lifts. It's primarily designed for students travelling to university and looking to save on costs, though is open to anyone. The site also encourages people to share lifts to festivals. The site has been created by Drummond Gilbert and Oli Marlow-Thomas, who will be attending freshers fairs eager to tell students the benefit of car sharing. They claim that there are 38 million empty car seats in the UK every day. The site features a search function and is designed around Facebook so users can see if they have friends in common or similar interests. There is also an eBay style rating system to help weed out any bad drivers or unreliable passengers. The founders of the site are also pioneers for the all-electric MINI E.